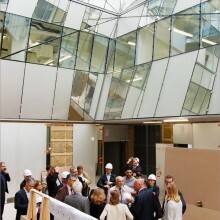 The building site lives its final weeks before giving way to some 12,000 m2 which will be dedicated to research in neuroscience. 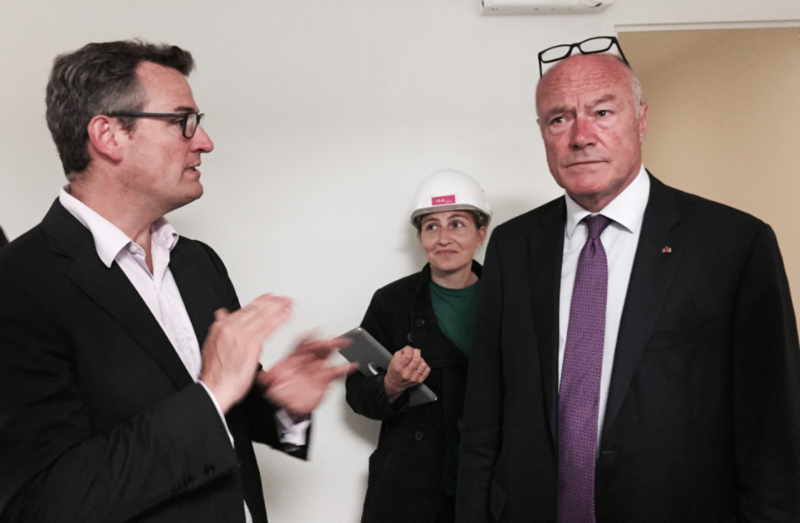 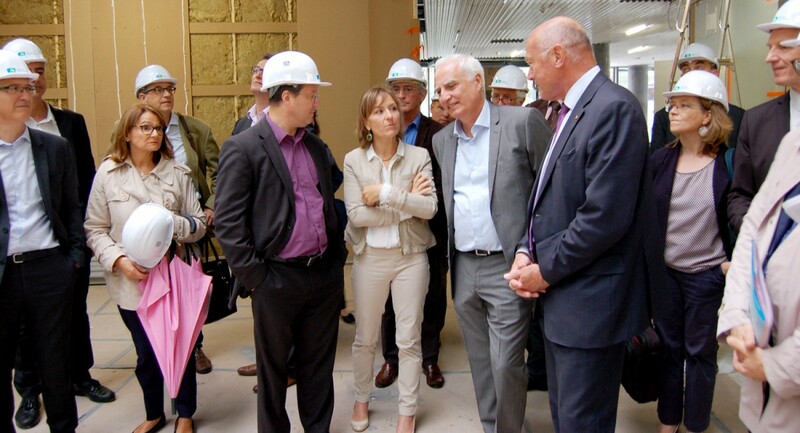 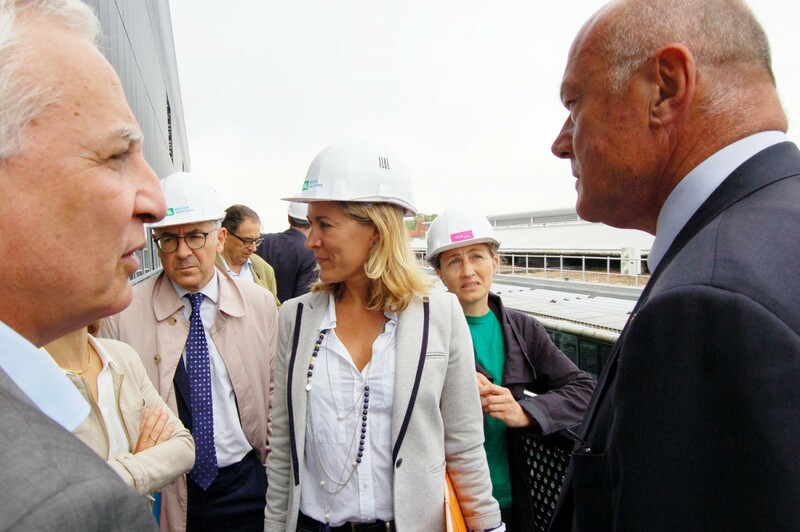 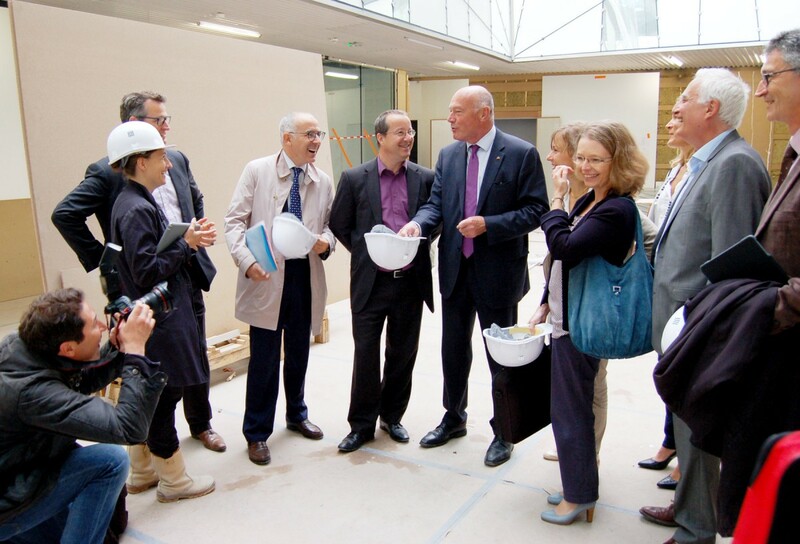 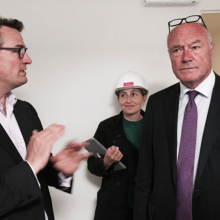 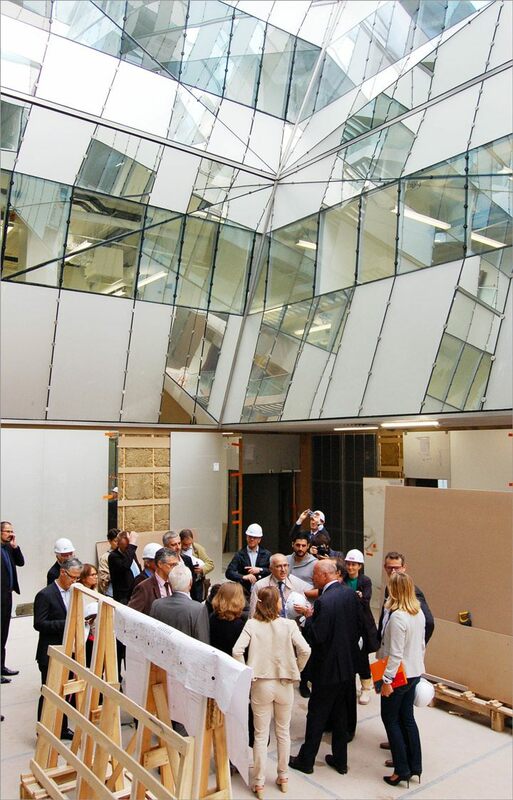 Mr. Alain Rousset, President of Aquitaine Region, went on the site in the morning. 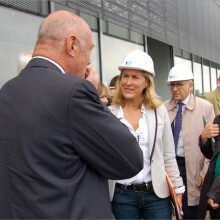 We recall that this building will house our Institute (IMN), but also the Interdisciplinary Institute of Neurosciences (IINS) and the Bordeaux Imaging Center (BIC) while maintaining a close connection with the Neurocentre Magendie that does not stop at the bridge connecting the two buildings. 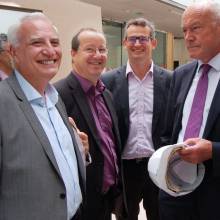 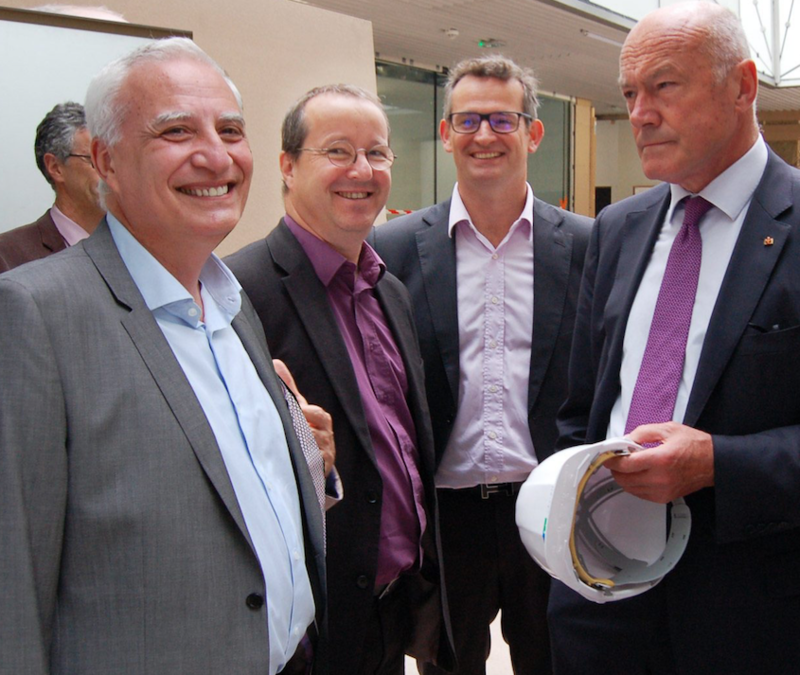 In presence of Mr. Tunon de Lara, President of the University of Bordeaux, in the presence of representatives of guardianship CNRS and Inserm, and directors of the concerned laboratories, Mr. Rousset reiterated his wish to see Bordeaux becoming a pole of worldwide reference in the field of Neurosciences. 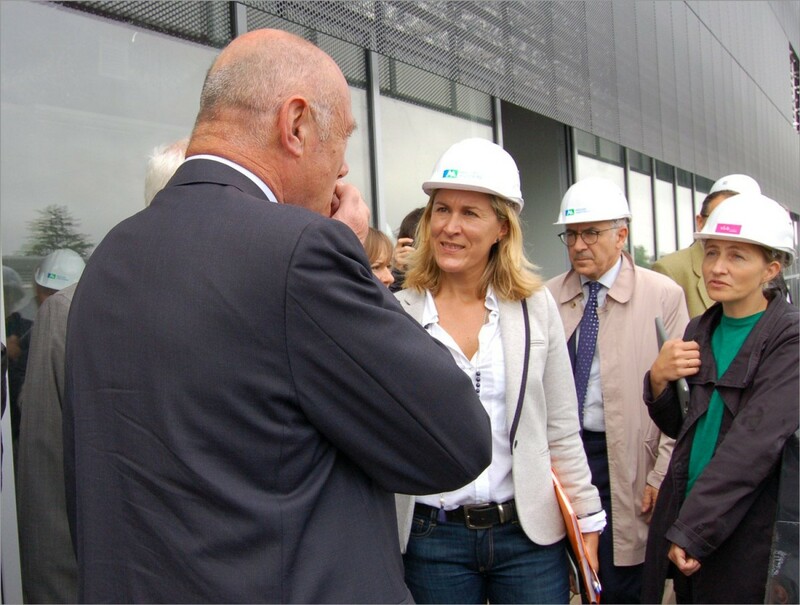 The Region is the contracting authority for this “Neurocampus” and, in addition to existing teams recognized internationally, it hopes to attract new researchers once the site is operational. 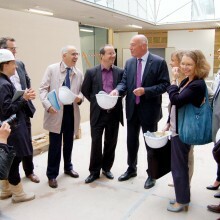 For this, a tender was made, which was answered by 171 applications for 6-8 new teams.